Knee injuries are one of the most common types of soccer injuries. From cartilage tears to ACL sprains, knees get beat up on the soccer field. This possibility for injury can scare a lot of athletes away from soccer, but these injuries don't have to be as common as they are. Fortunately, there are a wide variety of knee braces for soccer players that offer the support you need to prevent injuries from happening in the first place and that can help accelerate the healing of injuries that have already happened. To prevent fatigue and injuries from sports activities, a knee sleeve is a great option. 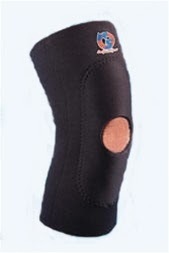 The New Options Knee Sleeve with Oval Anterior Pad and Patella Cutout is an excellent choice for soccer players looking to stabilize their joints and play more comfortably. This sleeve’s mild compression, padding and therapeutic warmth can help soccer players stay on the field for longer without risking these vital joints. For players facing mild injuries, it's important to look for a soccer knee brace that gives a little more support in order to speed up your body's natural healing processes. Ossur's Rebound knee braces are made especially for this situation. This brace has a number of features that make it one of the best knee braces for soccer, including breathable fabric, patella support and dual lower cruciate straps for better control. When players have an injury to the ACL, PCL, LCL or MCL, they'll need a brace with a lot more support. For this, one of the best options is the Breg Fusion XT Knee Brace with AirTech Innovation. This brace combines a high-strength frame design with aircraft-grade aluminum to give you stability without added weight. The brace is great because it stays engaged whether you’re running, cutting or just standing in the huddle. After a player undergoes a knee surgery, knee braces can help speed up your knee's healing and prevent further damage as you work on recovering. In addition, a good post-operative knee brace can help minimize the pain that comes after knee surgery. 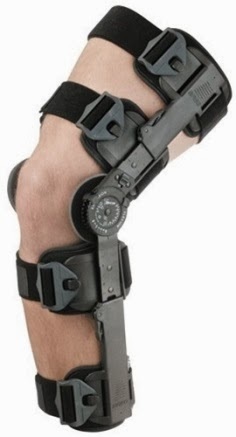 Breg's T-Scope Knee Brace is one of the best post-surgical braces available today. This lightweight brace features telescoping hinge bars that extend from 17" to 27" and has a convenient drop-lock style hinge to control the knee’s range of motion in 10 degree increments. Have you injured your knee? Leave us a comment with your best advice for recovering from a knee injury!